Dragon Con, the internationally known pop culture, science fiction, fantasy, and gaming convention, is back and bigger than ever, with a record 85,000 people headed to downtown Atlanta for the Labor Day weekend. More than 400 guests, from the worlds of movies, television, comics, literature, and other universes, will lead panel discussions and meet with fans. Some of this year’s top guests include Once Upon a Time’s Jennifer Morrison, Ant-Man & The Wasp’s Evangeline Lilly, Luke Cage’s Mike Colter, and Gaten Matarazzo and Caleb McLaughlin from Stranger Things. Some other films and television represented by guests at this year’s convention include the Avengers: Infinity War; The Hobbit; Hot Fuzz; Game of Thrones; Dr. Who; the Star Trek franchise, including the original series, Star Trek: Voyager, and Star Trek: Discovery; The Expanse; The 100; CW’s Arrow-verse (Arrow, Flash, Legends of Tomorrow, Supergirl); Agents of S.H.I.E.L.D. ; Black Lightning; American Gods; Lost; The X-Files; Lost Girl; the Stargate franchise; Warehouse 13; and The Incredible Hulk. The always popular Dragon Con Parade steps off on Saturday, Sept. 1 at 10 a.m. While the parade is expected to attract a large crowd – it is free, and the whole city is invited – it will also be broadcast live on television by Atlanta’s CW69, with a rebroadcast during primetime. Dragon Con is well known for the quality of its cosplay – or costume play – and that tradition will certainly continue. The nation’s top cosplayers will show off their best work during the show, participating in costume contests every night of the convention and promenading throughout the five host hotels and the streets of downtown Atlanta. Atlanta-based Literacy Action, Inc. is Dragon Con’s official charity for 2018. Through auctions and other charity events, plus a dollar-for-dollar match up to $100,000 from Dragon Con, the convention will raise money to support this important community organization. The convention raised $110,000 for Special Olympics Georgia in 2017 and has consistently raised more than $100,000 for each of its official charities since 2013. In addition to fundraising, Dragon Con conducts the largest convention-based blood drive in the nation. In 2017, some 3,000 fans donated more than 6,000 units of blood and blood products in the annual Robert A. Heinlein “Pay It Forward” blood drive, benefiting LifeSouth, which serves more than 40 hospitals in the Atlanta area and 110 hospitals in the Southeast. 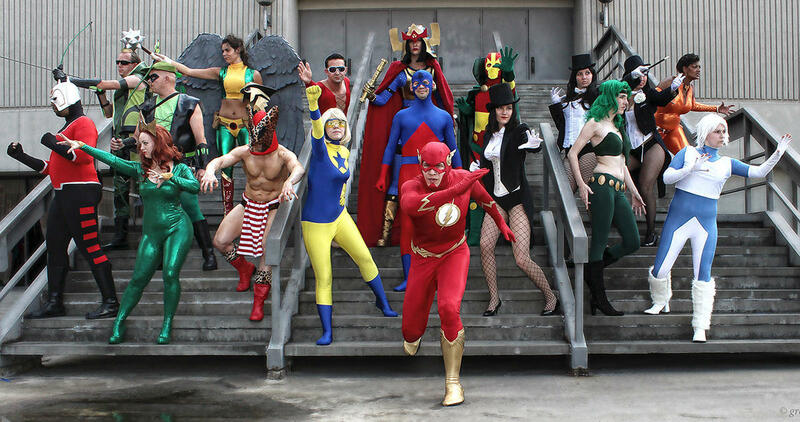 Dragon Con is the internationally known pop culture convention held each Labor Day in Atlanta. Organized for fans, Dragon Con features more than about 3,000 hours of comics, film, television, costuming, art, music, and gaming over four days. For more information, please visit www.dragoncon.org and follow them on Facebook and Twitter.